And the next milestone begins… pulling up to stand!! My heart has a little flutter moment every time I see Addi trying to pull up on furniture and objects around our home. There are going to be a few bumps and falls while he is learning, that I’m sure of. But can my heart take it, I do not know! 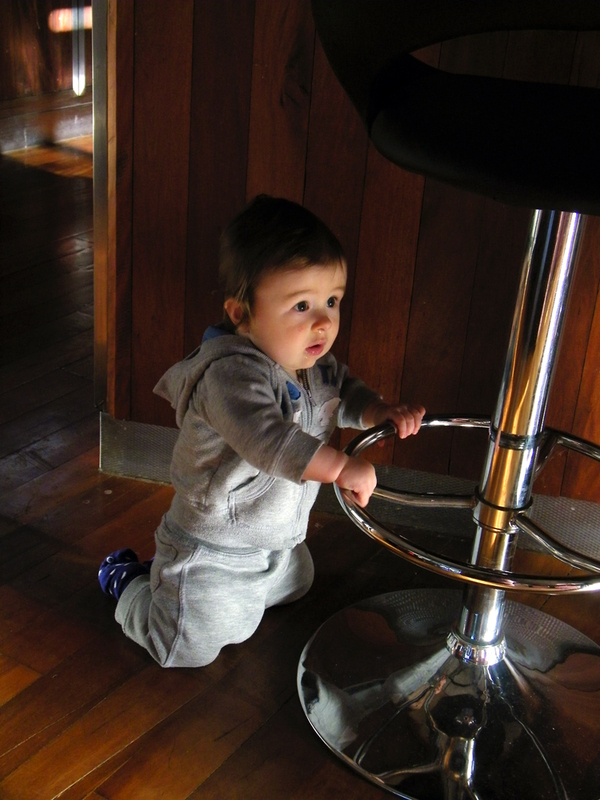 Addi has taken to using the barstools to pull up on and I really wish he wouldn’t!! He also tries using the fridge door handles, which I can see ending in disaster.